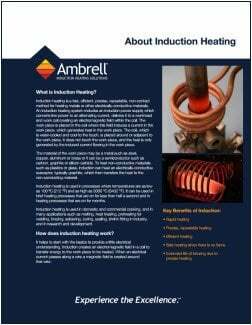 Ambrell's advanced induction technology provides precision ±2°F temperature control and is easily adaptable for a variety of solder materials. Our compact, lightweight EASYHEATTM systems generally produce more than enough heat to quickly solder component-size parts at temperatures below 500°F. Our applications laboratory has considerable experience with a variety of soldering applications and would be happy to review your fiber optics soldering application. Check out a couple related application notes below or contact us to discuss your fiber optics soldering application today. 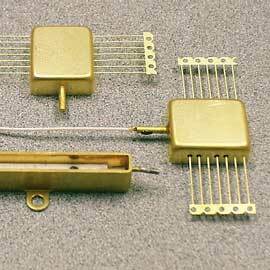 Click on an applications note below to read how induction heating can improve the efficiency, effectiveness and safety of your fiber optics soldering process. A 4-turn induction coil was used to provide uniform heating to the aluminum housing. The coil was specially designed to allow room for the addion of a protective refractory shield between the coil and aluminum. 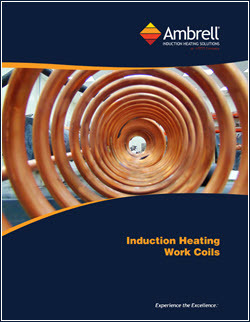 A specially-designed induction coil, shaped to conform to the metal vessel, was used to deliver uniform heat to the vessel.